Sorry Shamrock Shake, you are no longer the St. Patrick’s Day fast food highlight you once were. Shake Shack, Danny Meyer’s ode to what fast food should be, is once again getting into the St. Patrick’s Day spirit with their Irish Fries. 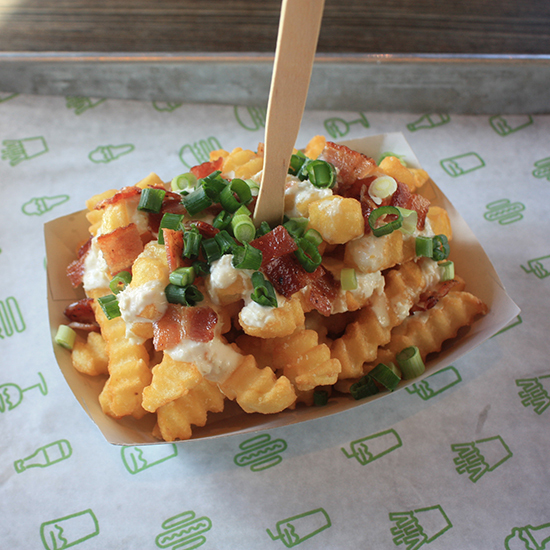 The crinkle cut fries are topped with horseradish cream, applewood smoked bacon and freshly sliced scallions. In addition to the fries the Shack is adding chocolate mint custard to the menu made with single origin chocolatiers Mast Brothers. Hungry customers will have to hurry, though, as both items will only be available for a few short days (March 13-17 for the fries and March 16-22 for the custard). An order of fries costs $4.50, and a single scoop of custard, in a cup or on a cone, sets you back $3.50. No green beer on the menu, but honestly, that’s probably for the best.